It seemed the APC mostly prepared for failure in the recently held Delta State local government elections, but relying on their usual propaganda, they took positions on social media to discredit the process, to save face. Those who fancy being in the mainstream now draw lessons from our brothers in Benue, Taraba and Adamawa. Governor Samuel Ortom, former Minister of Industry, Trade and Investments under the PDP, in pursuit of personal ambition to become governor, led his people into the APC but, when the herdsmen came marauding, both the party and the government let him and Benue people down. The school is one out of the 12 new universities established across the country by former President Goodluck Jonathan and the only federal presence, besides the smoking guns of the JTF, in Gbaramatu Kingdom, one of the highest oil revenue yielding areas in the country. But this don’t matter to the APC leadership, the Sweet Brendt and Bonny Light can always be forcibly exploited and the people continually subdued. Never mind the afterthought-face-saving- mission of Vice President Osinbajo to secure continued flow of crude. Who doesn’t know that most of the latter day decampees to the APC only so did to either avoid prosecution for alleged corruption or in grudge for losing primary election tickets or to elicit continued government contracts? There are those who are in APC just because they want to destroy the spirit of Delta brotherhood, but for a state where ethnic and linguistic diversity is most wrapped in the best of oneness, the goodness of love will certainly prevail. Instructively, they all bear no sincere conviction in the politics and spirit of the APC to bring development to the homeland and, even today, they are most embarrassed by the unending lugubriousness of the government. Wasn’t it obvious, for instance, that the party’s high command has only a derisively residual connect with its Delta chapter, the reason why, to the chagrin of the living, the Presidency will announce Senator Francis Okpozo as board member months after the respected elder had demised? Really, what is there to cheer in the governments of the APC states? Is it Rochas Okorocha’s ridiculous fancy for the erection of statues for non-heroes? Talking about teachers, indeed, there is need for nationwide reforms in education, and as Usman Dutse, National President of ASUP, pointed out, the real problem is several decades of low investment in the sector and zero capacity building for personnel. In this, the governments are most guilty. El Rufai brashly sacked 24,000 in Kaduna, compounding the economic hardship for families. The difference is, with better understanding of the root of the problem, and not given to vainglorious dramatics like his APC counterparts, Okowa opted to establish a Teachers Professional Development Centre now providing continuous, systematic and coordinated capacity building and licensing for Delta teachers. By this, the employments of the teachers are secured, not to inflict further hardship on families at this economic times, while the state supports them to update and upgrade their skills set to impart better on pupils. To further boost quality, both at the tertiary level, the state has opted to channel more funds towards the upgrade of structures, equipments, learning facilities and welfare of teachers and lecturers. Coupled with its attention to technical and vocational education and steady yearly increase in budgetary allocation to the sector, the Okowa approach presents the sanest and best educational reforms plan in the country, so far. Everybody knows, whether they are admitting it or still grandstanding, that Nigerians, like our compatriots who missed their way into slavery in Libya, are desperately finding a rescue from the misadventure into the mishmash of APC, and given the deep rooted reforms ongoing, without noise, in Delta, the decent and humble candour of Gov Okowa, it will tantamount to self-immolation, collective suicide, for Deltans to imagine a substitute in the belligerent propagandist and societally decapitating world of the APC. Thankfully, Deltans are neither bastards nor fools. Fred is an Asaba based journalist. 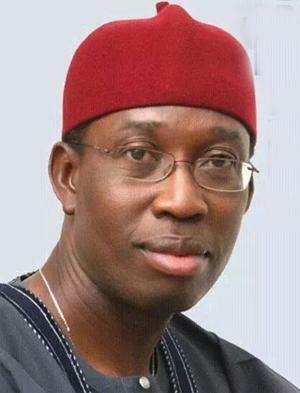 The post Deltans, Okowa and the APC appeared first on Vanguard News.